Are you feeling overwhelmed by your residency responsibilities? Not sure how to manage the stress? Join us in this live chat where Tait Shanafelt, MD, program director of the Physician Well-Being program at Mayo Clinic, will answer your questions and provide tips on how to avoid burnout. Join our live chat to get tips on how to handle the toughest part of residency. Thanks for joining us today for this important discussion. Burnout during residency has reached levels that have been described as “epidemic.” Some institutions have begun implementing strategies to alleviate this problem, such as the ones detailed in our article on burnout prevention. And yet, the impact is still being felt by residents everywhere, even going so far as to take the form of depression, as explored in our article here . Tait Shanafelt, MD, program director of the Physician Well-Being program at Mayo Clinic, is here to answer your questions and provide tips on how to avoid burnout. Let’s start with our first question. Dr. Shanafelt, do most institutions have any safeguards against burnout? Unfortunately, most institutions do not have effective safeguards. Although nearly all institutions have resources for those with distress who step forward and ask for help, few have effective measures to help physicians in training monitor their well-being (in anonymous way) and link them to early interventions to provide support before distress compounds. Few institutions have effective approaches to promote resilience and well-being. Many institutions have implemented some type of wellness program in response to the ACGME requirements. Although well intentioned, most of those that do exist are not evidence based. So what can residents who are under distress do to seek help? You mention that few institutions have the ability for residents to ask for help anonymously. Is that anonymity key in your opinion? For anyone just joining the chat, feel free to submit your questions and tell us where you're joining us from! First, it's important to recognize this is a common problem. Studies demonstrate that a majority of residents experience burnout at some point during their training. Accordingly, burnout is not a sign of weakness and does not imply a individual is "not cut out to be a physician". Those in distress should see help so that they can deal with distress before it gets worse. Most residency program offices provide resources for those in distress and that can be a good place to start. Sometimes resident are concerned that those resources are not confidential. If that is the case, you can contact the employee assistance program at your medical center which typically has resources to mental health and other confidential resources outside your medical center. Providing confidential (as opposed to anonymous) support resources is critical. Providing at least some anonymous resources, however, does increase psychologic safety and may make it easier for residents to begin exploring what options to assist them are available. You mention few institutions have effective measures to deal with burnout, even though it is extremely common. Why is this and what measures can/should be taken to address it? What are the barriers? ). I think the primary thing for those who have had such an experience is to recognize that a majority of their colleagues are dealing with similar issues. 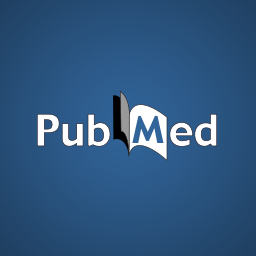 Recent national studies we conducted in collaboration with the AMA evaluating the prevalence of burnout among residents of all specialties found a burnout prevalence of ~60% (http://www.ncbi.nlm.nih.gov/pubmed/24290109). In a separate study in which we studied nearly all internal medicine residents in the U.S. (n>19,000), over half had symptoms of burnout with the highest rates during the intern year (http://www.ncbi.nlm.nih.gov/pubmed/21900135). When can you tell that you are experiencing burnout? ). 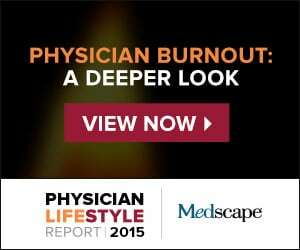 Most physicians don't recognize they are experience distress or burnout until it starts to become relatively severe. It's fairly common to buy into a narrative that "everybody is struggling, I'm no different" and use that logic to delay or avoid seeking help or making changes to address the problem. If you have begun to experience a loss of enthusiasm for your work, to feel so emotionally drained that you have little left to give, or to experience that you no longer care what happens to some of your patients you should consider those warning signs. Residents, have any questions for Dr. Shanafelt? Feel free to submit them now. We recently reported on an online initiative developed by the AMA called STEPS Forward designed specifically to curb burnout. This is a good initiative by the AMA and provides some initial resources for residents to explore. Most residents with significant distress will need to follow-up with someone in person whether it be someone in their program office, at their medical center, or even a trusted family member or personal friend. Thank you. Thank fully i do not have those signs atm. But i will keep that in mind. If i ever do experience some of those signs Dr. Shanafelt, how can I deal with them before it is to late. Im a firm believer of prevention is better than cure. Great comment. All of us aspire to more than avoiding distress - we want to thrive in our personal and professional lives and achieve high well-being (http://www.ncbi.nlm.nih.gov/pubmed/12727590). There are a number of steps you can take to promoting wellness. This typically begins with identifying personal and professional values, integrating them and then determining concrete steps regarding how you can live this out. The second step is to maximize meaning and fulfillment in work ((http://www.ncbi.nlm.nih.gov/pubmed/19773573; www.ncbi.nlm.nih.gov www.ncbi.nlm.nih.gov Finally, taking care of yourself and cultivating personal interests outside of medicine is the third dimension. This includes nurturing relationships, developing hobbies and interests outside of medicine, self-awareness activities, and religious/spiritual practice (http://www.ncbi.nlm.nih.gov/pubmed/22388107). Many of these tasks are particularly difficult during residency because of the long work hours and the limited control residents have over their calendar. I think identifying one consistent activity outside of work that is just for you and making sure it happens every week is critical. When I was a resident, I had a standing “Sunday night BBQ” with 2-3 friends that occurred every week unless I was on call. The food, music, and fellowship were the respite in my week that helped me stay connected with my life and identify outside of medicine. Should residents discuss burnout with their attending? Residents should consider discussing burnout with someone within their training program who they trust. Most the time, this will not be their current attending. It is more likely to be their program director or someone within the residency office designated to be a support resource for residents. If a resident has an established relationship with faculty member or attending who they trust (but who is not evaluating them on a current rotation), that individual may be an appropriate individual to discuss things with. Do you have any specific advice on how to balance family life with residency? I feel that this is one of the most influencing factors on my own burnout...? Integrating personal and professional life is one of the biggest challenges for physicians and this challenge persists after the completion of training (http://www.ncbi.nlm.nih.gov/pubmed/22911330). This is partly driven by the high number of hours but by the fact that many physicians prioritize their professional responsibilities over their personal responsibilities. This often creates a circumstance where a physician trying to live up to personal responsibilities has to "swim against the current." Ultimately, there are not simple answers here. Progress is not made simply by "surviving until the completion of training" (http://www.ncbi.nlm.nih.gov/pubmed/25049326) Typically, progress is made when an individual identifies the conflicts between personal and professional and determines the trade-offs they need to make to meet the obligations that are most important to them. This always comes at a cost. Your time, talent and energy are limited resources. You cannot be the perfect parent and the world's best surgeon. Once you acknowledge that, you can begin to make the tough choices of what "excellent" (but not perfection) looks like in both spheres. If a resident sees a co-resident with signs of burnout - should this be reported to the PD? The best approach would be to first connect with that individual directly to ask how they are doing. Most training programs are small enough that people know each other well. A sincere inquiry from a colleague about how you are doing and providing support can be very helpful. Asking the colleague if they have taken advantage of the resources provided to them or if they have someone they can talk to about the challenges they are facing also is sometimes a helpful nudge that encourages them to get the help they need. I think the only time it is imperative you go to the program director without their permission is if you see a patient safety issue evolving. If a resident has an alcohol or substance issue (or is using those approaches to cope with their distress) or if their distress is so severe they are making mistakes, you then have a duty to protect the patients. Dr. Shanafelt: In the past several years have you noticed a shift in specialty selection based on perceived notions of residency burnout by new resident applicants or an increased rate of mid residency specialty swap? ). Unfortunately, some folks are making career decisions based on this information. It is risky, however, for residents and medical students to “pick their specialty” simply because it is a discipline at lower risk for burnout. Well-being and overall life satisfaction are multi-faceted constructs and burnout is only one dimension. In this regard, meaning in work protects against burnout and is a key driver of well-being. Residents and students need to choose a field that they have a passion for. They then need to recognize the particular challenges of that specialty and proactively develop a strategy to manage them. Hello, I am a psychiatry resident at UofL. Having only begun my third year in residency, I'm already beginning to see that we are working within a healthcare system and trend where there is over emphasis on treatment of the disease rather than treatment of the individual. This issue has become pervasive throughout medicine, but it has particularly become troublesome within my specialty where such a shift has had a drastic effect on our practice models. I believe that the compassion and humanism that is draining from the day-to-day practice in medicine is what is contributing to resident burnout, particularly since it is almost a violent contrast to the optimism and hope with which most of us enter medical school. I would like to combat this within my program/institution because that at least gives me a sense of some sort of positive change to fight for. What are your recommendations for a resident like me who wants to put more time and effort into starting a wellness/compassion program here? I recently read the Time article on "Doctors on Life Support" and it is clear that we are sorely lacking these services in residency programs nationwide. Thanks. Good comment Ario. This relates to the meaning in work dimension which is one of the biggest driver of satisfaction/burnout among physicians. Most physicians went into medicine to be a healer, a teacher/educator, and/or an expert making discoveries that improve the care of patients. Increasingly, physicians feel that their connections with patients (which is a cornerstone of that meaning) are being lost/eroded. Many factors contribute to this -- clerical work, electronic health records, and electronic ordering. So called "team based care" can be a double edged sword depending on how it is implemented. 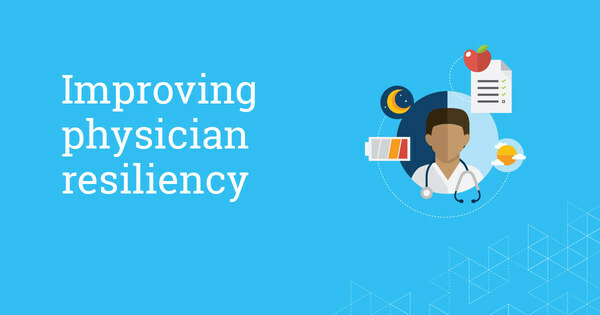 In its best manifestations, it can relieve the physician of clerical burden and allow them to focus their time and energy on the aspects of care that require their expertise. In its worst manifestations, it destroys continuity of care the relationships physicians have with patients that are a key to satisfaction and are why many of us went into medicine. You cannot provide the best medical care to your patients if you don't have time to get to know them and how their individual circumstances an preferences influence what is the best decision for their care. Our chat will end in just a few minutes. Any questions? Submit them now! Thanks for your response, but any thoughts on the question about forming a wellness/compassion program at other institutions? How could I go about doing that? 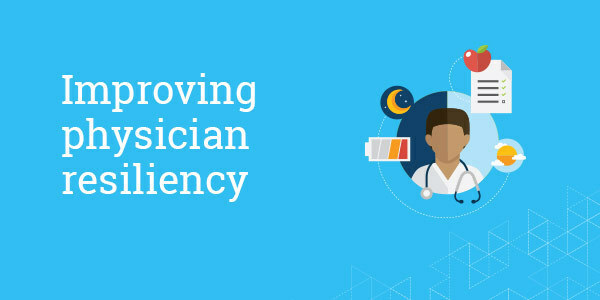 STEPSforward.orgExplore strategies that can reduce or eliminate onerous administrative tasks and increase the amount of time the clinical team spends providing direct care. STEPS Forward is brought to you by the American Medical Association. We’re just about to wrap up our chat. Does anyone have any last-minute questions? Thanks for joining us today and thank you to Dr. Shanafelt for co-hosting with us. A transcript of this chat will be available here.